When selecting a fabrication partner, there are considerations other than cost which should be taken into account. Selecting a fabrication partner is the start of a relationship, one that affects your business and clients directly. Your relationship with your metal fabrication partner should be based on trust, communication, and support. Like any good relationship, these elements will allow your partnership to thrive. The more there are, the more you should be worried. Thanks to the internet and social media, there is a significant difference in the way that we choose our partners today. Research no longer has to be a headache since it only takes a few minutes to enter a potential partner’s name on Google. Sites like the Better Business Bureau, Yelp, and industry-specific review sites make finding information, good and bad, about your potential fabricator fairly simple. One or two negative reviews may simply be par for the course, but when you see several or more all stating the same thing, the flag should go up. Remember that the reputation of your organization relies on the quality provided by your partner. Do your due diligence by asking for references, taking a tour, and speaking with some of their employees. How are the people behind the work? An effective partnership does not stop at the quality of the work. If you cannot work with the people on the team, the work can suffer. Your fabrication partner sales representative will most likely be your only insight into the people that you will be working with. Take the time to know him or her by asking as many questions as possible. What is the average tenure of employees at the shop? What are the company’s core values? Do their values align with yours? Ask your rep to share a story about a dissatisfied client. What happened and what did they do to address the issue? While it may never be the case, you may one day end up in a dispute with your fabrication partner. Understanding in advance how that dispute might potentially be resolved could make an impact on your decision to work with them at the outset. Do they have a history of handling larger workloads? With growth often comes larger orders. Take a few moments to make sure that your potential partner has the capability to manage large orders. 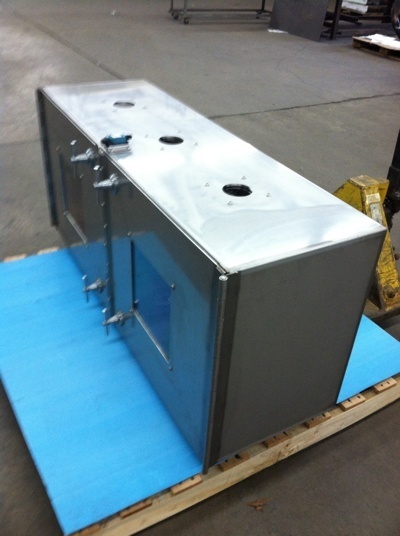 Some fabricators work with smaller organizations and may not have the experience or capability to work with a larger organization or larger fulfillment requests. Your organization may be focused on working with the most cutting-edge technology and innovative minds. Is your potential partner flexible and willing to explore options that are representative of your vanguard? Working with a partner that understands your need to move forward and to embrace new techniques and products is essential to the success of your relationship. Although selecting the right fabrication partner is an important step in growing your organization, it does not have to be overwhelming. Simply taking the time to do your own research, asking for references, and being proactive in getting to know your potential partners will allow you to build the trust it takes to thrive together. Ever since Jack received a two-year vocational degree in welding more than three decades ago, he’s been working in metal fabrication and welding. He’s been at All-Type Welding and Fabrication, Inc since the summer of 1994, and has held many positions, from welder to general manager. Jack ensures the company meets and exceeds any customer need, whether that involves solving an engineering issue or determining how quickly parts can be manufactured.